Although the ratios are different depending on the child, the first day of school usually holds a mix of excitement and dread. Your child will be catching up with old friends, making new ones; familiarizing herself with a new teacher (or teachers), with different classrooms, schedules, and subject matter. 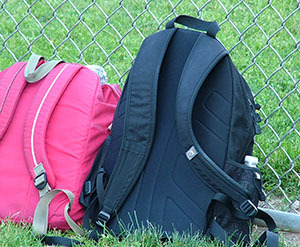 Finding his place on the playground or in the cafeteria can be fraught with anxiety. How much more difficult it is to navigate a new landscape when a child’s internal world has been fractured by divorce. No matter how amicable, or necessary or even desirable for your child’s well-being, a divorce rocks her world. What will he tell his friends? Her teacher? Who will come to soccer games, class plays, parent-teacher conferences? Will they never show up together or argue if they do? Younger children may feel guilt or shame and be reluctant to confide in friends. Older children may affect a nonchalance that belies the turmoil they feel and act as if it’s no big deal. Children may feel embarrassed or fear crying if they talk about it. Without the ability to express his true feelings at school, where he spends so much of his time, your child’s health, sense of self and schoolwork may suffer. Let them know that you rely on your friends for support and encouragement and that they can, too.